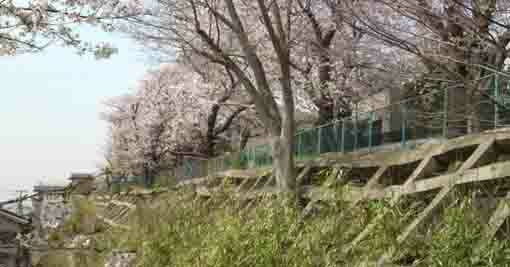 The house a famous scenario writer Yoko Mizuki stands on the silent residential area between Katsushika Hachimangu Shrine famous for Senbon Icho Tree and Mamagawa River, a popular scenic site to see cherry trees. The attractiveness of this old fashioned house is surrounded with a green hedge that merges into the beautiful narrow streets with lined the municipal trees. 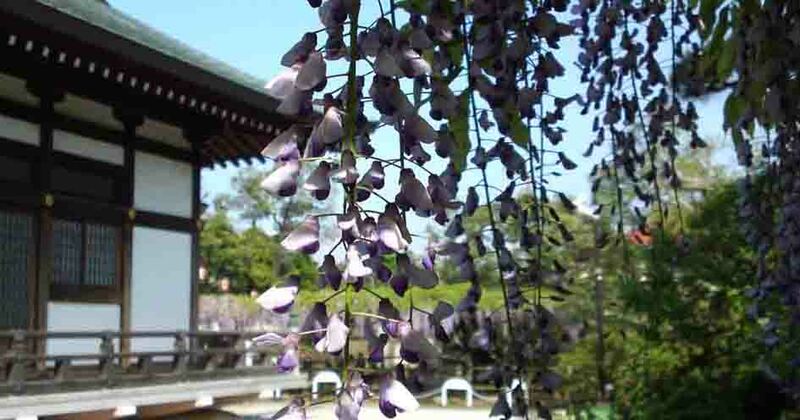 After the World War II, she moved to the house in Yawata on her friend's recommendation and she created many masterpieces in Yawata. 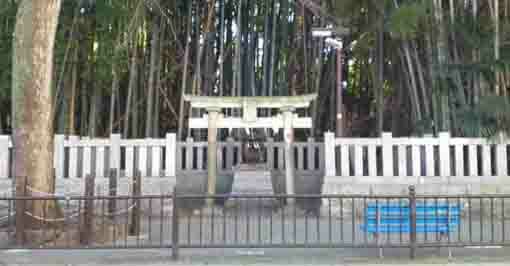 The house Yoka Mizuki contributed much to the motion picture world in Japan spent most of her life in. 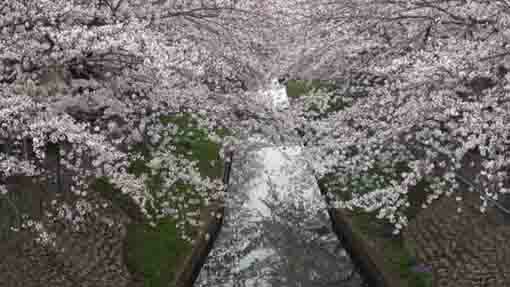 In spring, you could visit the house of Yoko Mizuki after walking along the Mamagawa River to enjoy seeing fully bloomed cherry blossoms, and you could also visit if after enjoying seeing colored leaves of the national natural property Senbon Icho Trees in Katsushika Hachimangu Shrine in fall. 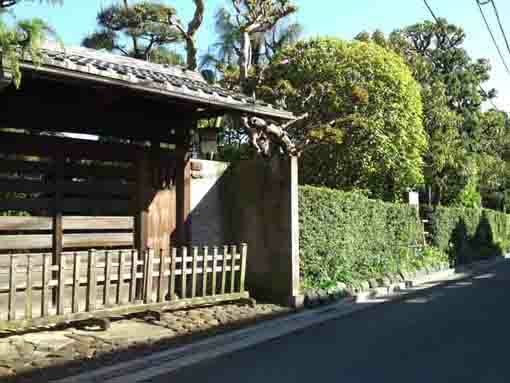 Why don't you visit Home of Yoko Mizuki, a scenario writer? Soon after the World War II ended, a scenario writer Yoko Mizuki and her mother moved to Yawata in Ichikawa city in 1947. It was recommended on her business friend from the same home town of her father. First, Yoko started her life in Yawata staying her friend's house. She then moved to a house across the street soon. 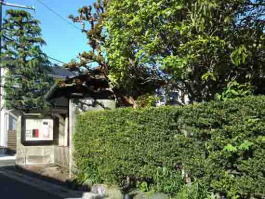 After that she bought it and the neighboring lands of the house, now the land is about 820 square meters. 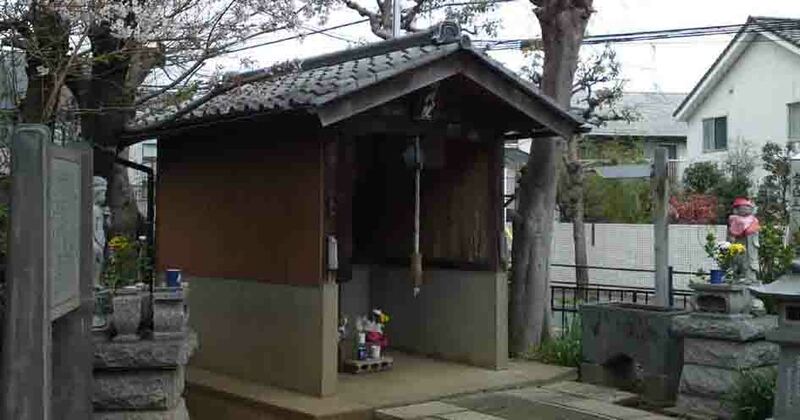 And also the house had been renovated several times and it became a Sukiya Style house (a tastefully built house). Yawata where Yoko Mizuki lived in is the residential quarter in Ichikawa city with lined black pine trees standing along the streets. 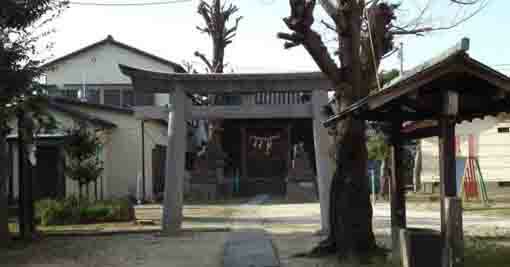 Yoko created most of her works at her house in Yawata for her life. 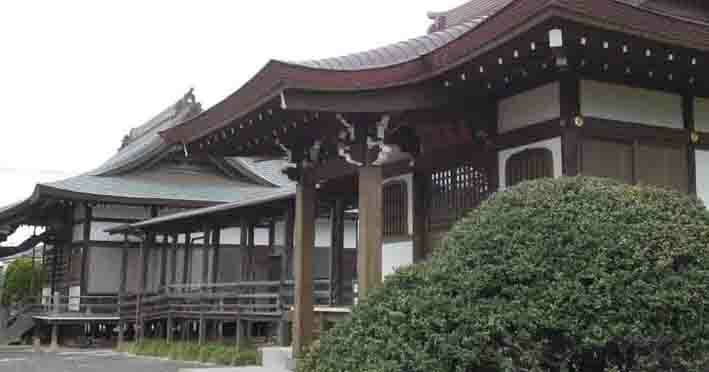 Anyway a part of the movie 'Junai Monogatari (the pure love story)' written by Yoko Mizuki and directed by Tadashi Imai in 1975, was shot in Katsushika Hachimangu Shrine and the municipal library in the site. In 1996, Yoko Mizuki offered to donate all her property to the city, she said 'Since Ichikawa City helped me a lot and I will be also supported from now on, I would like to donate my properties to the city.' 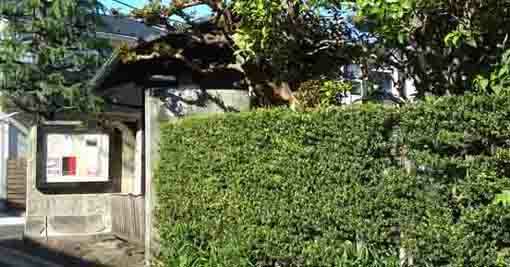 In 2003, Yoko Mizuki was passed and her house that she worked mostly was given to the city in her will. Yoko Mizuki was a scenario writer from Kyobashi Tokyo from Showa to Heisei era. She was graduated from Japan Woman's University. Yoko Mizuki was her pseudonym, her name was Tomiko Takagi. Yoko set her heart to become a scenario writer, she took part in the society for study of writing scenario directed by Kan Kikuchi, a famous writer. And she made her debut in the motion picture world in Japan since Toshio Yasumi, her Russian Teacher, recommended to write scenarios for films. In 1948, Yoko released her first scenario 'Onna no Issho (the whole life of women) directed by Fumio Kamei' on the June issue of the movie magazine 'Eiga Shunju'. And in 1950, she released her reputation 'Mata au hi made (By the day we will see next) ' directed by Tadashi Imai. After that she released many scenarios, and she worked with many masters of Japanese films and she remained many masterpieces during the golden ages of Japanese films after the WWII, so she contributed much on the development of Japan film culture. Yoko Mizuki was awarded several prizes and medals, she got Kikuchi Kan Prize in 1953, received the Medal of Honor with Purple Ribbon in 1981 and the Forth Class of Order of Precious Crown in 1987. She was an honorary citizen of Ichikawa city. In April 8th of 2003, Yoko Mizuki was died of old age at 92 in a hospital in Ichikawa city. 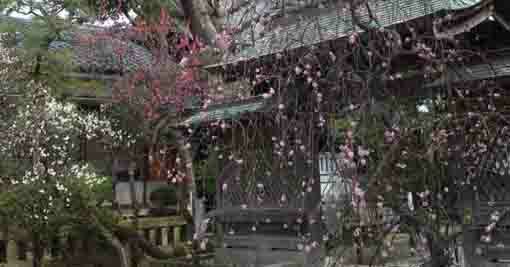 She donated her house and scripts to Ichikawa city she had lived so long after WWII. She wrote many masterpieces, 'Himeyuri no To (The Tower of Lilies)', 'Kiku to Isamu (Kiku and Isamu)', 'Ukigumo (the Floating Clouds)', 'Hadaka no Taisho (a biography of Kiyoshi Yamashita)' and so on. 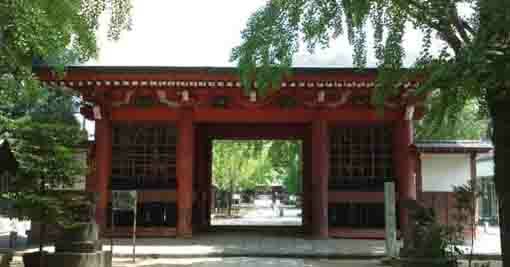 Home of Yoko Mizuki, a Scenario Writer, has great accessibilities from both Narita and Haneda International Airport. From Narita International Airport, take Keisei-line and get off Keisei Yawata Sta, take minimally 45 minutes from Narita Airport. And also take JR Sobu-express line, transfer the line at Funabashi to Keisei-line, get off Keisei Yawata Sta or Onigoe Sta. From Haneda International Airport, take Keikyu-line bound to Narita, and get off Keisei Yawata Sta or Onigoe Sta. 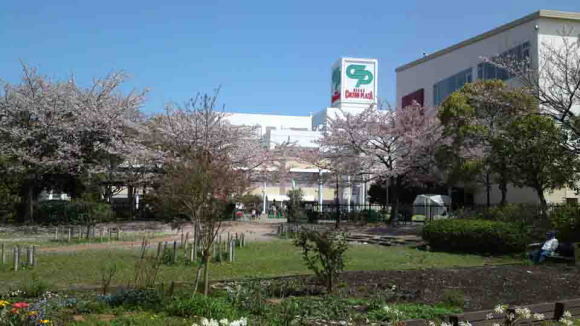 Take 10 minutes walks from both Keisei Yawata Sta and Onigoe Sta.